C-Path is developing a repository for data on novel translational safety biomarkers from drug development programs, with the goal of accelerating qualification of novel biomarkers as new tools for drug developers. This initial pilot focuses on kidney safety biomarkers. C-Path’s Predictive Safety Testing Consortium (PSTC) has launched the Biomarker Data Repository (BmDR): a repository for data on novel translational safety biomarkers from drug development programs. Masked, de-identified data from multiple sponsors will be collected and stored in a secured repository. The data will then be available to C-Path and FDA staff to support research that leads to the submission of documents to worldwide regulatory agencies to qualify novel safety biomarkers for new Contexts of Use (CoUs), to modify and expand existing CoUs, and to identify appropriate exploratory biomarkers to advance drug development in the future. The initial pilot focuses on kidney safety biomarkers. The main goal of the BmDR is to provide industry with new drug development tools. Existing biomarker data could be used to significantly advance and accelerate understanding of the utility of novel biomarkers as drug development tools. As a sponsor, you can join with other innovative companies simply by sharing non-proprietary data. Since only summary, non-proprietary data will be available, each participating organization’s intellectual property is protected. C-Path has set up a straightforward governance process that protects all submitted data through sponsor-directed data use agreements. Contributors to BmDR will have access to aggregated biomarker data and summary analyses—enabling collaboration and support of their drug development efforts, reference ranges, medically relevant thresholds, and other outputs from accumulated data on both conventional and novel biomarkers. The goals of this pilot are to confirm the feasibility and value of this new collaborative effort, and evaluate resources needed for broad implementation; confirm normal healthy volunteer reference ranges, analyze the impact of key demographics on these ranges, and characterize subject variability; and confirm biomarker changes due to kidney injury. Appropriate datasets for the pilot include kidney safety biomarker data from: clinical control arms, nonclinical control arms, nonclinical active arms, basic study design elements, and basic assay information. 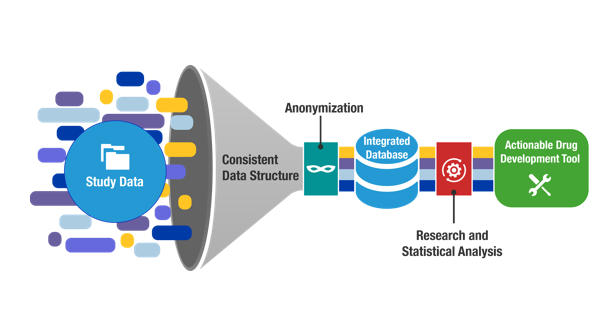 Ideal datasets for this pilot contain existing data (that have been submitted to the FDA) from regulatory submissions, including CTAs, INDs, and NDAs.